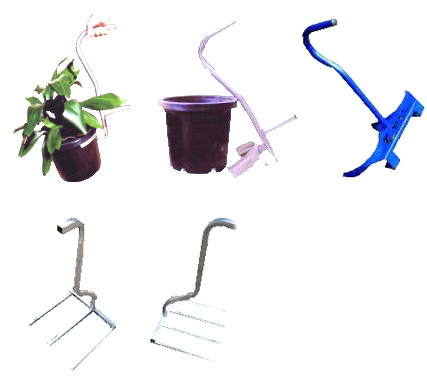 Pot lifters, known as pot lifting handles, are simple lifting equipment that are used in plant nurseries. Pot lifters make it easier and faster to transfer and move plant pots from one place to another. Pot lifters can hold up to 10 pots at a time. Nursery staff can work efficiently and finish tasks quickly with the help of pot lifters. What are the uses of Pot Lifters? 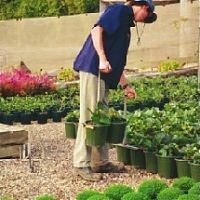 Continously transferring and lifting a few pots at a time may make nursery staff feel exhausted. It can cause back problems which are common in the horticulture industry. Repeated or continuous exposure to manual handling of plant pots often increase the risks of musculoskeletal injuries. Reducing physical risks to your nursery staff and workers can increase their productivity and moral. Pot lifters also help a lot in saving time and effort when handling potted plants. Why choose C-Mac’s Pot Lifters? 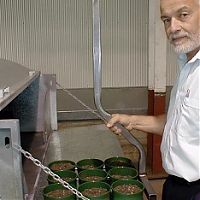 Pot lifters are convenient to use because of their ergonomic shape so they increases work efficiency and reduce the repetitive tasks of transferring pots. Numerous sizes available or can be made to suit your special pot size. Receive up to $500 from WorkCover NSW after purchasing C-Mac Pot Handlers?